Every Business Owner Needs to Know About the 4 Main Types of Data Backup.In order to survive—and thrive—all businesses need two things: 1) a steady flow of customers, 2) stable and reliable operations.Nowadays, almost every business model relies on computers and data in day to day operations, making it essential that all business systems, applications and critical files are backed up and maintained properly. 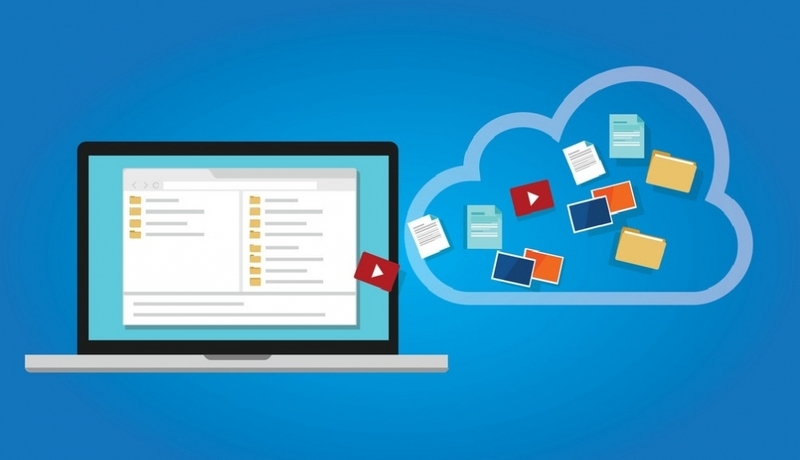 With an always on connected internet service, you will be able to upload your files to a public cloud (in another location) for safekeeping. Your monthly subscription covers the cost of the software, storage, maintenance, infrastructure (e.g. redundant power, cooling, network), and security in the provider’s data center. Your subscription will also typically be based on the amount of storage you require. Now, it’s worth noting that many small businesses have some reservations about public cloud storage due to concerns over the security and confidentiality of their data. Therefore, it’s critical to select a provider with robust security controls across all layers of their infrastructure, including biometric security controls, 24/7/365 monitoring & alerting, regular compliance audits, state of the art encryption, private customer keys, etc. This method is also known as an internal or enterprise or private hosted cloud. Businesses tend to use this method when they already have the infrastructure (data center) in place. While this approach gives you greater flexibility and control over how your data is stored and protected, your expenses will be greater. This method though, provides excellent security as computing resources are not co-mingled with other companies. However, businesses that use this option tend to be larger enterprises, or companies that are subject to strict regulatory requirements limiting their ability to store or process data with third parties. If your IT infrastructure is simple and straightforward, or if you are on a tight budget, you may consider managing data backups yourself. Most organizations that go this route use NAS (Network Attached Storage) devices. For greater portability, you can choose to use an external hard drive or USB drive as well. This works particularly well for smaller data sets, usually < 1TB. Keep in mind that while you may save on cost with a DIY option, you will need to monitor and manage the backups closely. This includes maintaining a strict schedule to ensure backups occur frequently—and because they are manual, there must be a backup for the backup plan to ensure no disruptions due to illness, vacations, busyness, etc. Periodically, you must also test the backups to confirm they are recoverable and error free. Multiple backup copies should be maintained (at least 3 copies total) on at least 2 different types of media, and at least 1 of them should be kept offsite. Lastly, extra care needs to be taken with backup drives to ensure they are shielded from strong electrical currents, magnets, high heat or humidity. If you are on a very tight budget with a low volume of data to manage, this option may work for you. Known as the best of both worlds, a Hybrid backup method protects your data both on-site and offsite. Data is quickly backed up to (and can be restored from) a local device, and an extra layer of protection is added by mirroring a copy of that data offsite. This gives you the convenience and speed of onsite backups, while still protecting you from physical damage or loss caused by fire, water infiltration, theft, employee sabotage, or other disaster affecting your offices. Ultimately it boils down to how much control you want to have, and how much time and money are you willing to spend on data backups vs. running your business. Few companies will have the need and the means to manage their own private cloud. Others on a shoestring budget may decide that basic DIY backups are all they need. But if you’re like most small businesses, your ideal solution is somewhere in the middle. If you depend on your data to run your business, and you’re short on IT expertise, I firmly believe that outsourcing data backup protection to an expert is the way to go. Consider reaching out to a company like eSilo for a complimentary consultation to see whether a cloud or hybrid solution would best fit your needs and budget. Have a suggestion or feedback to offer? Please use the comment section below or email our team at info@www.esilo.com.